Cycling TV channel BIKE has launched on Virgin Media in the UK, where it will be available on channel 552 to customers of Virgin’s M+ package. BIKE broadcasts live cycling coverage, documentaries and original UK programming and went live on the Sky platform last month on channel 464. “You can’t question the growth in cycling in recent years, and on our TV service it is all about people’s interests and passions, be it more mainstream media or specialist channels. 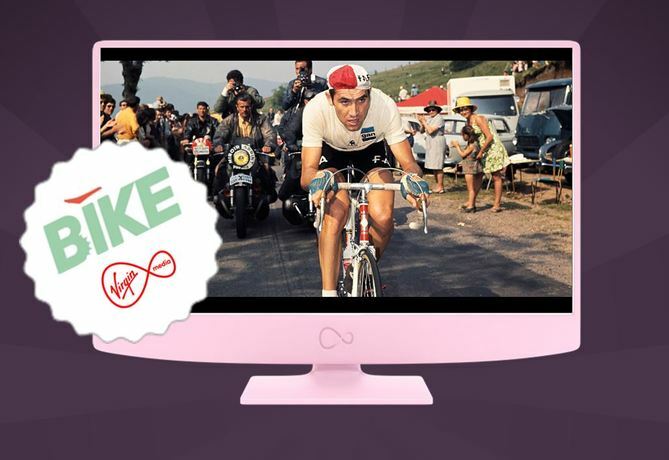 We know there is a strong interest in sport from football to cycling so we’re delighted to bring BIKE to Virgin Media homes,” said Virgin Media’s chief digital entertainment officer, David Bouchier. BIKE previously launched back in 2012 in Italy, where it is available to 4.8 million viewers.